Mother Tongue is the BEST band to come out of Los Angeles in the past 20 years. I’ve seen them dozens of times here in Los Angeles and only wish that I could see them in Germany. 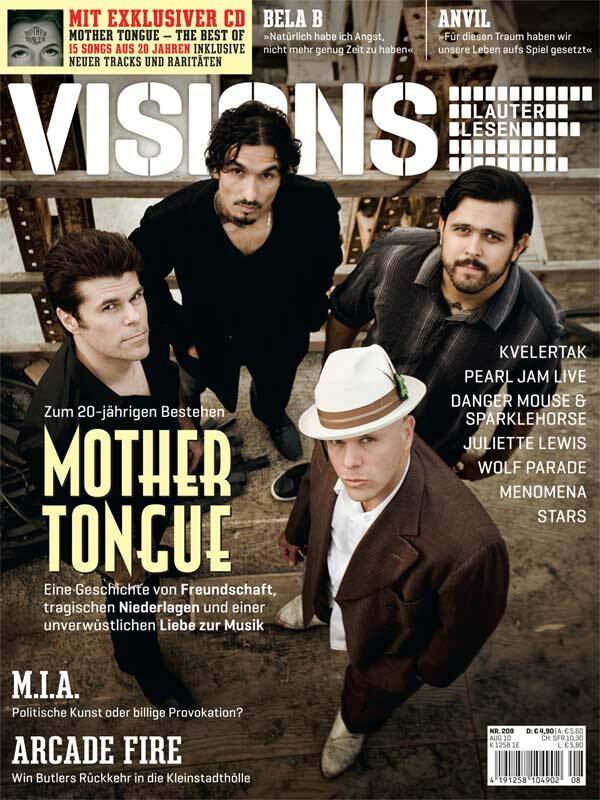 All of you brothers in Germany consider yourselves lucky to get to witness Mother Tongue live in 2010. I envy you. I only wish they’d play here at home from time to time. It’s been three years since I last saw you and I just can’t wait to be in awe all over again. Petra from Germany was in town and brought me a copy of this magazine and the CD rocks. Live tracks and many of their studio tracks and the two new songs are incredible. I am blessed on that fact but also I am going to see them live in L.A. with a few friends before they head out on their tour in Germany where as we know they’ll rock the crowds every night. My fave band of all time!!! As an ex Los Angelino, it will be my great pleasure to see you guys wreck the house here in Cologne. RESPECT!